Understanding Maths is a series of books designed to reinforce skills and knowledge at Key Stage 2 of the National Curriculum. Each book focuses on a particular maths topic with explanations and teaching points, exercises, answers section and glossary of terms. The Practice book provides further reinforcement of topics introduced in books 1 to 8 of the Understanding Maths series, to ensure that learning is really secure. Every page in the Practice book is cross-referenced with the other relevant Understanding book so that children can easily refer to them if they need help. 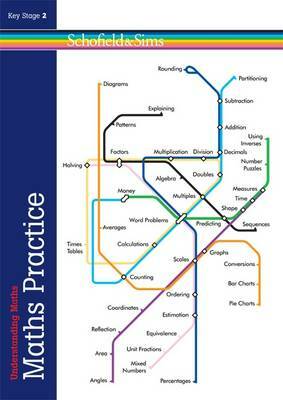 The Practice book includes: adding and subtracting, multiplying and dividing, fractions, decimals and percentages, number patterns and early algebra, problem solving, shape/space/measures and graphs/charts/data.